It’s accessible. Many writers already have Word. If not, it’s fairly inexpensive and easy to find. If price is a factor, Open Office is an alternative. It’s convenient. Most writers already have familiarity with how to use some of Word’s functions. It’s also fairly intuitive. When it’s not, a Google search or a question in the CreateSpace or Kindle community forum will usually help out. It’s functional. It’s possible to make a very nicely formatted print book. You can set the leading, inside and outside margins, add different styles of headers and page numbers, adjust the kerning, and even deal with widows. Not everything is easy, like using section breaks to change the header style or preventing Word from compressing images, but the potential is there and it’s relatively painless once you master the tricks. It’s Kindle-friendly. Using Word’s style functions, it’s possible to make a Word document that converts very well to Kindle format. KDP continues to improve this. Adobe is considered to be more professional for publishing print books, formatting images, and converting to PDF (note that PDF isn’t very e-book friendly, while Word is, although Adobe does have software features oriented toward making e-books). It’s not that you can’t learn how to format a Word document that looks professional, but more that once you master Adobe’s features, some of the formatting features become easier to perfect in Adobe InDesign. Most book designers who are equally fluent in both Word and InDesign prefer InDesign. Acrobat XI provides many options for conversion to PDF, such as flattening transparency, selecting output resolution, and embedding fonts. Most free or low-cost Word-to-PDF converters don’t have as many options to choose from. Very often, the free and low-cost converters provide a quality conversion, but when it doesn’t work, there isn’t much you can do but look for an alternative. Sometimes, you settle for PDF output that’s not quite what you desire because you didn’t have the options you needed. Acrobat XI allows you to do some editing of your PDF, which is sometimes more convenient than returning to the original source file. InDesign includes many professional book formatting features, namely page layout and typography. Many of these features are more convenient in InDesign once you master how to implement them. PhotoShop is professional image-editing software, great for using photos to design covers or make illustrations. Word likes to compress images unless you take pains to avoid this, while Adobe’s products make it easy to achieve high resolution. Illustrator is great for drawing, illustrating, and formatting text and images together. There is a steep learning curve. Many of the basic features aren’t as intuitive as Word, and most writers have no experience with Adobe until they purchase it. You can get help with Adobe software, though it’s probably somewhat easier to get help with Microsoft Word simply because more people use it. Some of Adobe’s software is fairly expensive compared to Microsoft Word and especially compared to Open Office. However, there is now a monthly payment option that provides instant access to just about everything. You must decide among your options. Do you need PhotoShop or Illustrator for your images? Do you just need Acrobat XI to convert to PDF and edit that, or do you need InDesign to prepare your books? But if you go with the Creative Cloud, then you don’t have to decide—you get all of this and more. There are other software programs besides Word, Open Office, and Adobe. For example, Serif Page Plus is a fairly affordable alternative. For years, I had considered purchasing InDesign, Acrobat XI, PhotoShop, or Illustrator. But the cost was more than I wanted to invest up front, I didn’t like having to choose between programs, and until you try it out, you’re not confident that it will be worth the investment. So I continued to postpone my purchase. In the meantime, Microsoft Word was fulfilling all of my needs. I didn’t realize that you can download a free trial of Adobe’s products. If you’re thinking about using one of these programs, you can actually try it out for a limited time and see if you like it. A new purchasing option came about that drew my interest. You no longer need to buy the program up front. An alternative is to buy a monthly subscription. For about $20 per month with a one-year commitment, you can purchase a subscription to use one of these programs. Or for about $50 per month, you can opt for the Creative Cloud, which gives you access to all of the software programs that I’ve described, plus more. This also allows you to keep your software constantly up-to-date. In the long run, i.e. after a few years, it may cost more than buying just the programs you need (or maybe not, since you otherwise may have invested money in updates). But what attracted me was that I didn’t need a large upfront investment to get started. For $50, I was immediately able to start using Acrobat XI, InDesign, PhotoShop, Illustrator, TypeKit, and more. And I downloaded all of these on the first day and started exploring them avidly. For me, this made very expensive software quite accessible. It starts to add up after several months (it’s like paying an extra cable t.v. bill), but for me it was worth it. I wish I’d seen this option a few years ago. There were times where I would only have needed these software programs for a couple of months. I could have bought a temporary subscription (the price is higher if you don’t commit to a full year), and then not renewed it for a year or so until I next needed them. But that’s not the case now. I’m using all of these programs avidly and will continue to do so. What are your needs? If you’ll be using these programs regularly, then it’s probably worth it. If you might just use them occasionally, the commitment may not be a good value. In that case, you might try the free download to better assess the value, or you might take the higher-priced short-term subscription to fill your temporary needs and then stop using it. If you’re publishing multiple books a year, you’ll probably be using the software more. If you reach a point where you earn $1000 or more per month from net royalties, then investing 5% into professional software may be a reasonable expense. If instead you’re making like $100 per month, half your earnings are going into the software (then factor in the IRS and not much is left, although you will have substantial expenses to deduct). One thing I like is how the Creative Cloud makes professional publishing software accessible to the self-publisher without a large upfront cost. I was surprised when I was shopping for guides on Amazon for how to best utilize the software. I had purchased the Creative Cloud directly from Adobe. When I was shopping for guides, I discovered that I could have supported Amazon with my purchase (it was the same price at the time). What was shocking was that Creative Cloud had 35 reviews with an average of two stars (**). The top four most helpful reviews on the product page were all one-star (*) reviews. Wait a minute. Adobe is the best publishing software, right? So why does it have all these one-star reviews? This became apparent when I started reading the reviews. There was a great pricing debate going on. 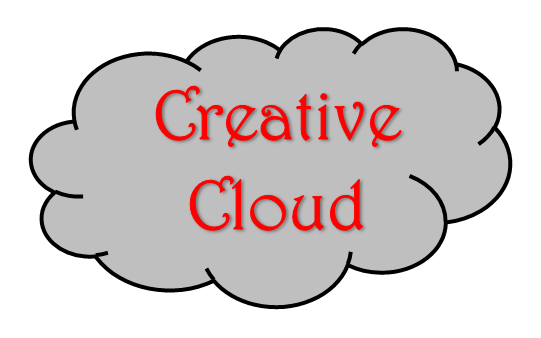 Many people who had purchased the products at full price in the past were displeased that they hadn’t been grandfathered into the Creative Cloud. Maybe I would have been upset, too. But still. As an author, I know it’s no fun to receive low-star reviews, let alone a string of reviews that don’t say anything at all about the content of the book. Adobe is a large company, not an indie author, but still. People, like you and I, worked on Adobe’s software. Imagine how they feel to see all those one- and two-star reviews of their hard work. Reviews that don’t describe how well the software works, but mostly focus on the pricing model. Again, I understand those reviewers’ frustration. But those reviews didn’t seem fair, and they didn’t help me as a customer to decide whether or not to make the purchase. Fortunately, I had already made the purchase from Adobe, so those reviews didn’t have the opportunity to scare me away. Personally, the Creative Cloud is a good fit for my needs, as I’m making extensive use of it, and I’m very pleased with my purchase. Is it the right choice for you? Maybe, maybe not. If you have Word and already have some experience with it, that’s a convenient option, too. Would you use the Adobe software often enough to get your money’s worth, and would it make a difference for you compared to Word? Those may be the questions to consider. What about Scrivener? I have been writing in Scrivener. It has pluses and minuses. Writing in it sometimes impedes my flow, but the compile options are endless; including, .doc, .txt, .mobi, .epub, .pdf, .rtf, .html, and dozens more. I have never made my own formatted files for self-publishing. I have always hired that out. Will Scrivener be useful if I decide to go that route with future works? I have yet to try it, but it seems like it should work out. Those are all the file formats you need. The only question is how the formatting will turn out for each file format, but even in the worst case you could export the .doc file and do something with that. What I would do is take one of your complete files and make test books to see how they turn out, mainly look at the pdf and check the mobi with Kindle previewer. Adobe’s decision to change to a monthly subscription plan is one of the best things they’ve done in years because before that, unless you were a student or teacher, buying their software was just so damn expensive. InDesign and Photoshop, that’s all I’ll ever need for book publishing for the rest of my life. Very interesting perspective. I totally agree with you about the negative reviews. A lot of people are furious that the pricing model has changed, but personally I couldn’t have been more thrilled. I bought CS4 Academic a few years before Creative Cloud came out, and it was a huge expenditure. I simply couldn’t justify upgrading with CS5, CS5.5, or CS6, because the one-off cost was way too high. But with a low monthly payment, I have been able to budget for it and take advantage of the lower costs to use the Creative Cloud since the start. Personally, I think the ludicrous difference in pricing between US and other regions (Europe comes to mind) was and continues to be a far bigger issue than the change to a subscription model.